MSP’s first full-length feature film from way back in 1993. 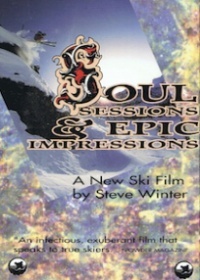 Soul Sessions & Epic Impressions features a solid group of early nineties rippers chasing powder. Shot on location with 16mm film at: Crested Butte CO, The San Juan Mountains CO, Irwin Lodge CO, The North Cascades WA, The Sierra Nevada CA, The Wasatch Mountains UT, and Taos NM.